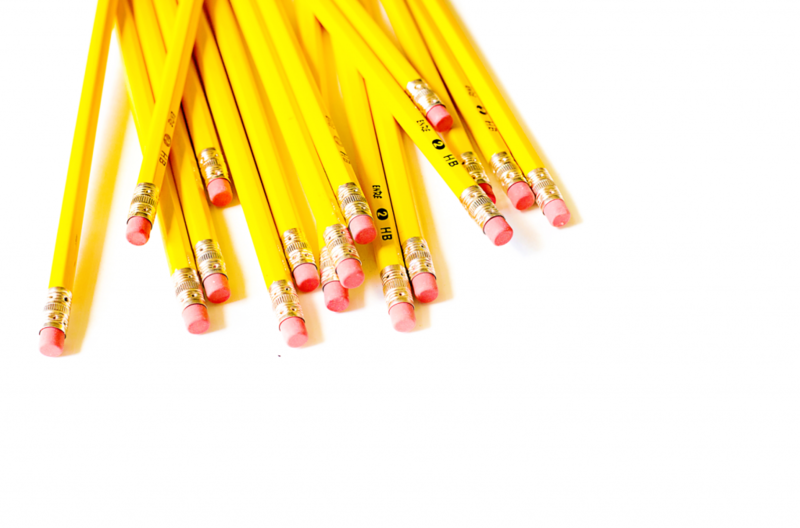 I’m back today to share with you one of my most favorite read aloud traditions! 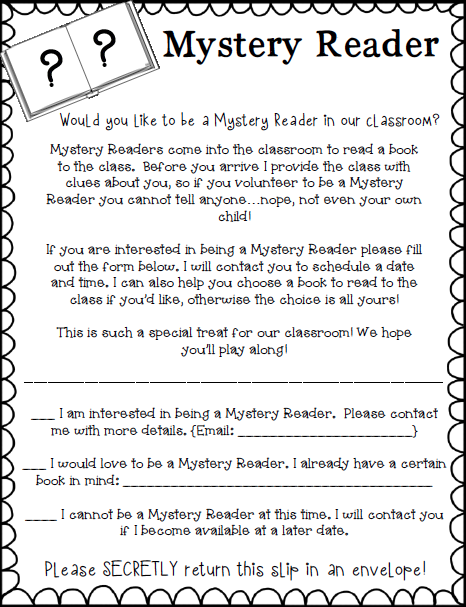 It’s our Mystery Reader parent sign up! Here’s the scoop…at BTSN, I ask parents if they are interested in being one of our guest readers during our read aloud time. Nothing too special about that, but here’s the twist…they select the book and day they are available to visit our classroom but have to keep it a SECRET! Even from their own kid!! Basically, before they arrive to the classroom, I give my kids clues and they have to predict who the mystery reader might be. They LOVE this part! Once they’ve predicted, I have the mystery reader come in and read to the class. It is SO heartwarming to see their child’s face light up with excitement, since even they didn’t have a clue about the special read aloud! Isn’t this such an easy way to involve parents and have kids excited about read aloud times? How do you involve parents for a read aloud? I’d love to hear more tips or ideas from you. We invite mystery readers during Reading Month. I am happy to have found this note to send home. Thank you for sharing Aris! I usually invite guest readers in during our week long celebration of Dr. Seuss’ birthday and the kids really enjoy it. However, I love the idea of surprising them throughout the year. Thanks for the ideas. P.S. Can’t wait to check out your ideas for March on Pinterest. That is so cute! I may have to try this next year! 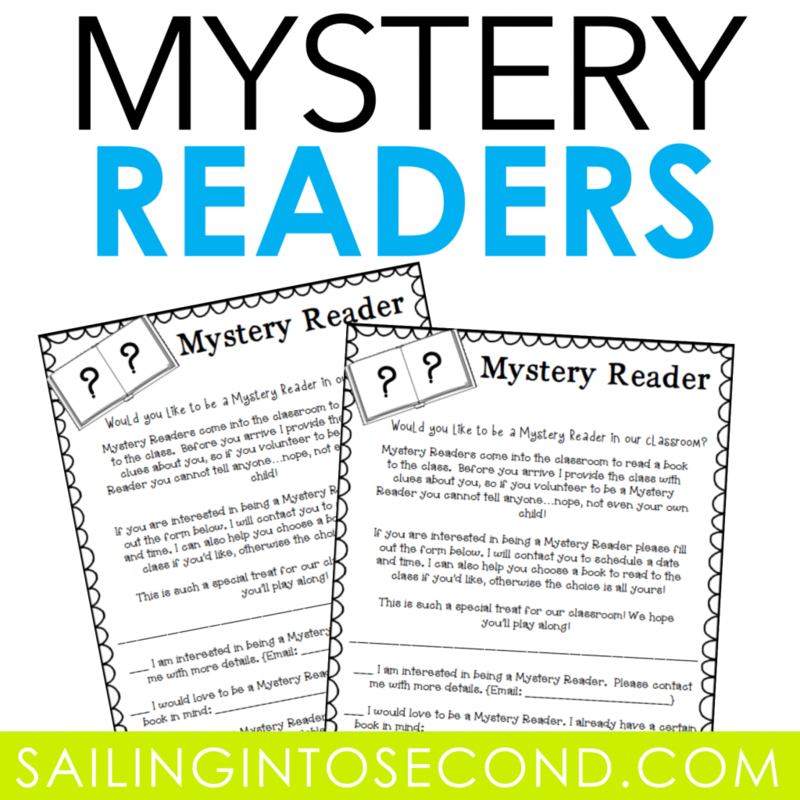 I love the mystery reader but cannot seem to find it ?